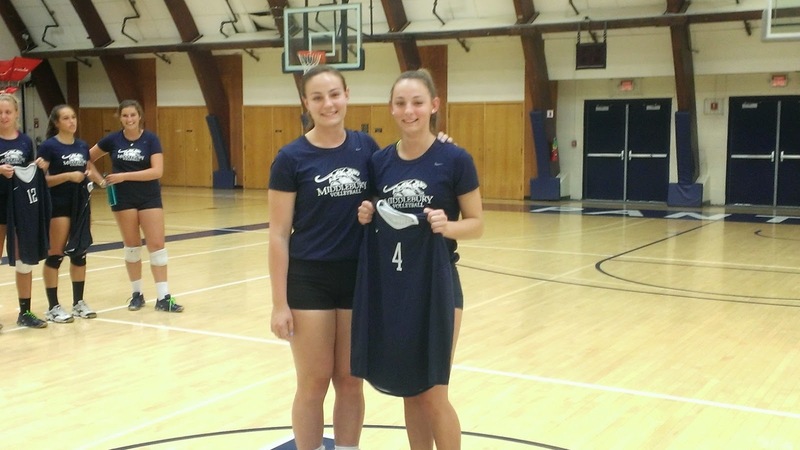 MIDD Volleyball 2017-18: Presentation of Jerseys! During preseason we had double sessions most days, so we didn't have all that much time for other fun. 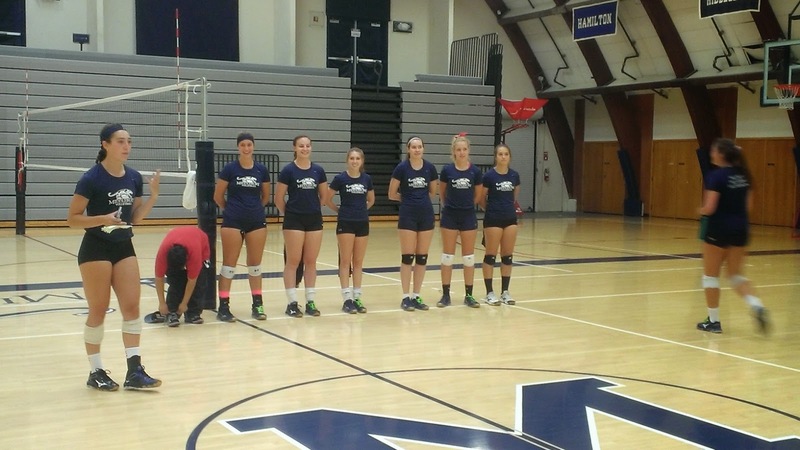 Once Freshmen Orientation started, we had to plan practice around when they could make it, which definitely made it more challenging, and even caused us to have a couple of EARLY mornings. 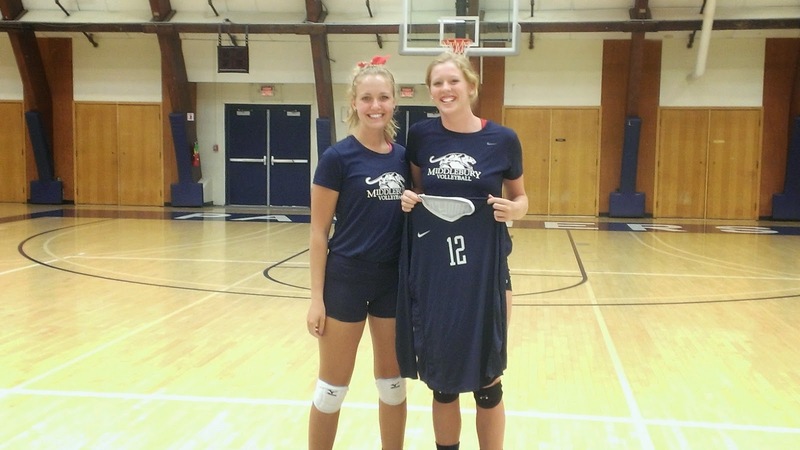 They're the ones who got the worst of it, though, as they were running from practice every day to the next activity on their schedules, while the upperclassmen could go back and take a nap between practices if they wanted. 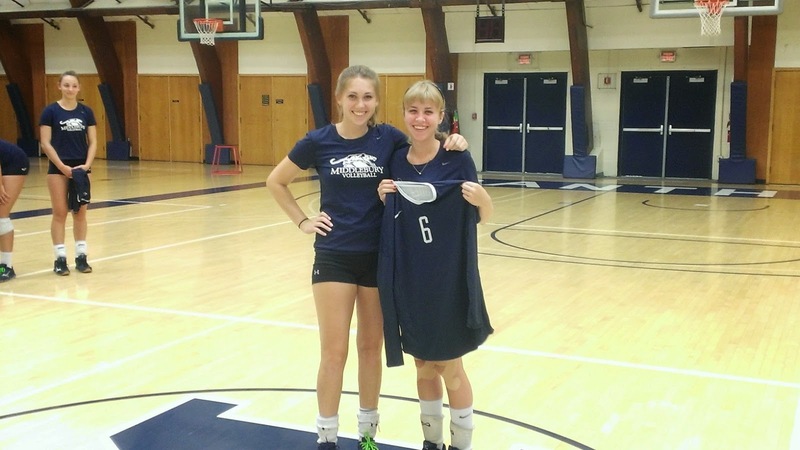 Once we had enough time to make our final decisions on the Team, however, the captains organized a Jersey Presentation for our new players. 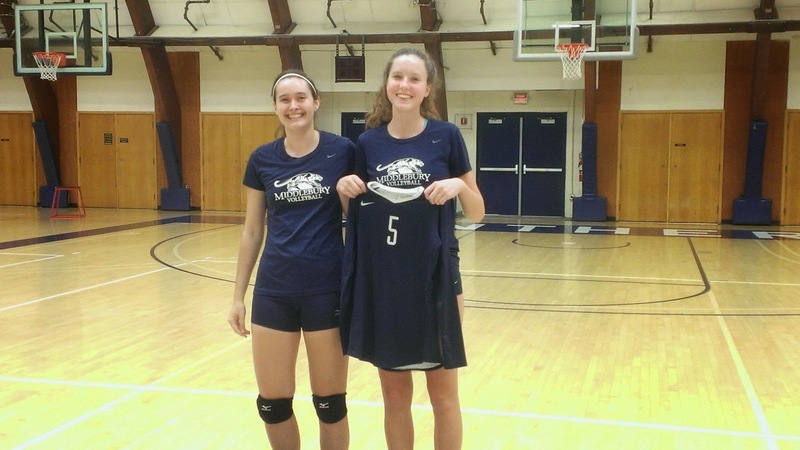 They talked to the freshmen about what it means to be a member of MCVB, and the pride that goes along with wearing MIDDLEBURY on your jersey (or something like that.) 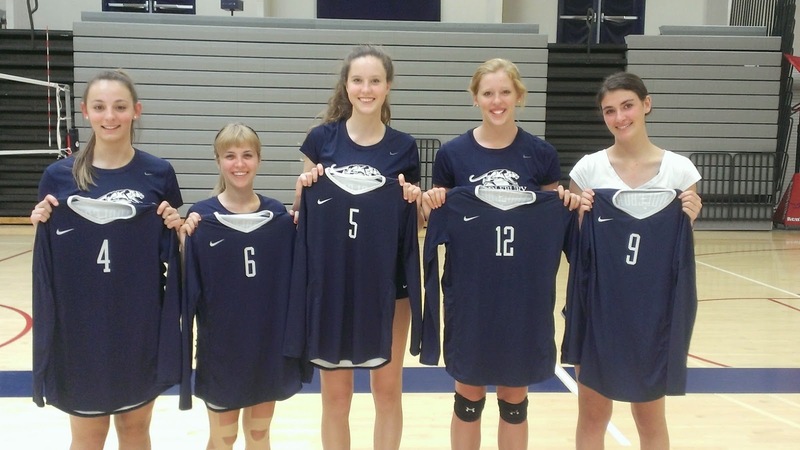 Then they read words of wisdom from the previous three seniors who wrote their thoughts and words of advice to the new freshmen, and sent them to the captains this year to read during the Jersey Presentation, which was very cool. 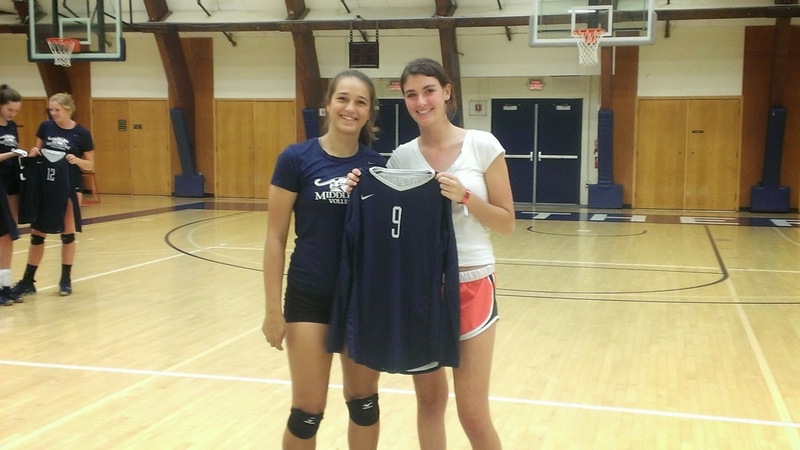 Then, each new player was presented with her jersey by an upperclassmen.